Stef Petticoat is best known for her pioneering, one-woman punk band, the Petticoats. As a German lesbian, Stef also stands out with her entirely unique approach to the blossoming late 1970s European punk scene. Her self-recorded, self-released Petticoats single was “Record of the Week” on the BBC’s John Peel show in 1980. As the ’80s progressed, Stef also formed the groups Necessary Evil, Amy and the Angels, 69 Lies, and collaborated with Robert Crash. Her trailblazing methods have proved successful in even more fruitful ways—with almost three decades of music, Stef Petticoat’s story is one that illustrates the diverse history of punk. MRR: Let’s start from the beginning: how did you originally get into playing music? What kind of music were you first attracted to? MRR: How did you make the jump to being in punk bands then? Stef: This is all so long ago! I hope I remember it all. After I got infected with punk (in 1976 I think, when I traveled to London and New York City), a friend (male) who was a singer in a band suggested I try it out. I started singing Patti Smith songs with a friend who played the piano. I had bought the Patti Smith songbook in New York and loved it. Then I tried to find a band who wanted a singer, but this turned out to be very difficult. I worked in Aachen at the time and spent my weekends in Bonn (where I used to live). I auditioned for bands in the Aachen, Bonn, and Cologne area, but they were all boring male rock bands who had never heard of punk. They thought I was too wild and my musical ideas too crazy. So I thought, well, if I really want to make the music I like then I have to go to London or New York! I packed my bags and went to London. The bands I auditioned there were just as boring—what a disappointment! Finally, one day at the women’s arts alliance, one woman told me about someone she knew who might be into the same music as I—and she was! It was Zuni (who is now a student of ecology in New Zealand). She and I hit it off right away. She played the drums and I bought an electric guitar and sang. We found a bass player, (who left shortly after to continue her university studies, so we found another), and an additional guitarist. We called the band Necessary Evil. We wrote songs and played a few gigs, but the other guitarist was a very strong lesbian feminist separatist. I refused to sing her songs, which were only about killing all men. She decided she did not want to play shows for men anymore—but I did! We had a lot of arguments. The other band mates took her side and decided to dissolve the band. This was a great shock to me. After a while I became friends again with Zuni, and the bass player, Trish, who now is a gardener. MRR: After Necessary Evil, how did your other bands come about? You’ve gone by Stef Petticoat and Stef Pussycoat throughout various groups including the Petticoats, Necessary Evil, Petticoat/Crash, Amy and the Angels, and 69 Lies—can you give a chronology? Stef: I was called Stef Petticoat in Necessary Evil, and decided that to get over my misery, I thought that I must do something alone. I recorded three songs that I had written and made a single. Robert Crash was a musician who lived in New York, London, and Cologne at the time. I had met him through a friend in 1976 in New York. He is a professional musician and could play various instruments really well and played in different bands. He liked my ideas. We sometimes jammed together and out of this came the idea for the Petticoat/Crash single—he got a label to put it out in Germany. After that my friend Angie was playing the drums and jamming with me. We auditioned bass players and eventually found Sue. We were a lesbian feminist band called Amy and the Angels. We had a lot of fun together. We have one track on the Making Waves compilation. Another compilation, Scaling Triangles, included nine songs by three bands (three of which were by me). A lot of women in the bands featured on that compilation knew each other, played together, and were friends with us. Some I have met again through MySpace! In about 1982 the music scene became somewhat boring. Also, Angie left for India for a while. So Amy and the Angels were no longer. Various lesbian feminist music projects I was in after that had only lasted a few months—Fucked with Candles and Bright Red Already. In 1986 I moved back to Germany to live in Berlin. I had a full time job for the first time in ages. I met a friend I knew from the Bonn music scene, Bass Bugs Bunny, who played the bass. Glore Gaukel joined as the guitarist (I really can’t play the guitar very well!) and Texcas drummed. Together, we formed 69 Lies in 1988. We disbanded in 1992 after personal, musical, and political differences became too heavy. There are some recordings that I want to put out on a CD, but one member of the band refuses to give permission so far. I am still working on it. MRR: Being in that first wave of DIY to come out of Europe, how did being German influence the sorts of ideas and groups in music or politics that you identified with? Did music/punk transcend these historical and cultural differences? Stef: When I decided to move to London or New York, I chose London because it was not so far away and because I felt the punk scene there was more sincere. I thought that a lot of posing was going on in New York. 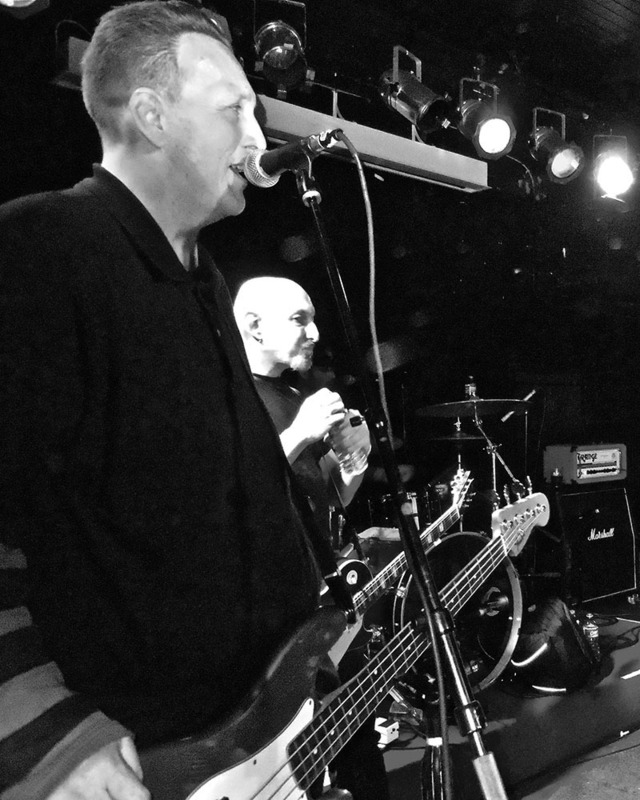 After I left Germany, many punk bands started—with a lot of them singing in German. I liked (among others) Fehlfarben (men), Malaria! (women from Berlin), Hans-A-Plast (women from Hannover), and Nina Hagen. For me it was easier to sing in English. With all the bands I have been in, the prominent language was English, although there were a few songs in German. Everywhere, punk meant there was no difference between famous and not famous bands. No stars, completely different from the Rolling Stones times. MRR: What cities garnered the greatest response to your music and to what you were doing? Stef: I did not have much contact with the German music scene when I lived in London. The greatest response I got was when my single became the John Peel “Record of the Week.” I got played on BBC1 every day. The biggest event I played at was at Gay Pride Berlin in front of several thousand people (not all of them liked the music!). We sometimes got asked to play at gigs (i.e. women’s festivals, conferences, gay pride) but we rarely played in pubs. 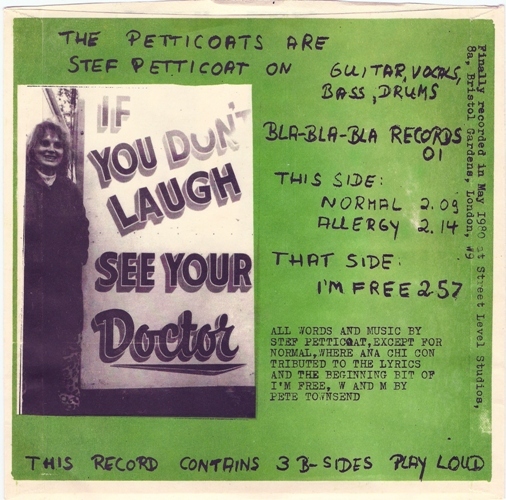 MRR: So, the first Petticoats single was self-recorded and self-released. This is huge! Thousands of boys across Europe were chugging out their own band and documenting it on 45s, but what was your unique experience as a woman in gaining access to those instruments, recording gear, and releasing your work? Stef: There was no other way of putting music out. A record company would not have been interested, I thought. And also I guess, a little pride—“Yes, I can do it”—was there. I researched the music press for information on the cheapest studio, the pressing plant, sleeve making, etc. And just did it. I had bought a little bass and they had a drum kit there [at the studio]. We had swapped instruments in Necessary Evil, so I could play a little of everything. It was all done very, very quickly. When the Petticoats single was finished I went around to record shops to sell it on commission. I also went to the BBC to give one to John Peel. If the single had not been made Record of the Week, I think it would not have sold so well at all. The biggest problem I encountered was MONEY. I had just barely enough to do it on a minimum level. After the first 1000 were sold, thanks to John Peel, I had another 1000 pressed and paid. But the plant went into receivership, so all was lost. I took them to court, but lost. I was mad! Thankfully, Rough Trade Records financed the second pressing, but by the time it all came out, I was no longer in the charts and that is why I still have Petticoats singles. Good thing I did not use them to plaster the walls a few years ago! MRR: How did this process, as well as the other female bands at the time, influence the feminist aspect of your music? How did these ideas influence your expression of the punk/DIY approach or vice versa? Stef: I was a feminist before a punk. I was never a feminist separatist. Ironically, a lot of the lesbian feminists at the Necessary Evil and Petticoats shows did not like punk or our music, as it was considered “male” and too noisy. I think this has changed [among lesbians]. MRR: Why exactly did they think punk seemed male—because it was dominated by men or because of violent aspects, or…? MRR: This makes me think of the American ’70s lesbian music stereotype of acoustic guitar singer/songwriters. Was that the same idea in Europe as well? Stef: Yes, this was the same in Europe. Either folky or jazzy—you could get away playing in a jazzy, rocky, but harmless, rock band if you were a lesbian. MRR: So were there a lot of other lesbian punk bands around at the time. Do you still know those women? What was the typical audience at your shows? Stef: I am still in contact with Angie and Sue from Amy and the Angels, Zuni from Necessary Evil, and Gerri, who was doing the sound for Amy and the Angels. I found friends from other bands—Mariamfaithful (Ruth) from “Ministry of Marriage” (from the Making Waves compilation), the Raincoats, the Gymslips, etc, on MySpace. Some of the women on the Making Waves compilations were lesbians, some became lesbians, and of some one does not know. The audiences were different—we played at a Women’s Festival in Wales with almost 100% lezzies. Also we played the Berlin Women extravaganza—all lesbians. But we also played mixed gigs. But lesbians only liked us if they were punk or indie music women. Male straights ignored us—and we them, if they were the drunk and disorderly type. But quite a lot of male straight bands were different from that. The Gang of Four, Crass, and Poison Girls liked us, and we liked them. MRR: This is an interesting dynamic—how were you able to achieve a balance between such extremes in your art—the straight male dominated punk stereotype and the lesbian separatist stereotype? You seem to have successfully made being a feminist lesbian a positive and thoughtful aspect to your music rather than a shtick or a downplayed footnote. Stef: I don’t really know how I did this. I just did it. I loved the punk energy and the loud, aggressive music. I did not see why women/lesbians always had to be acoustic, quiet, full of harmony, etc. 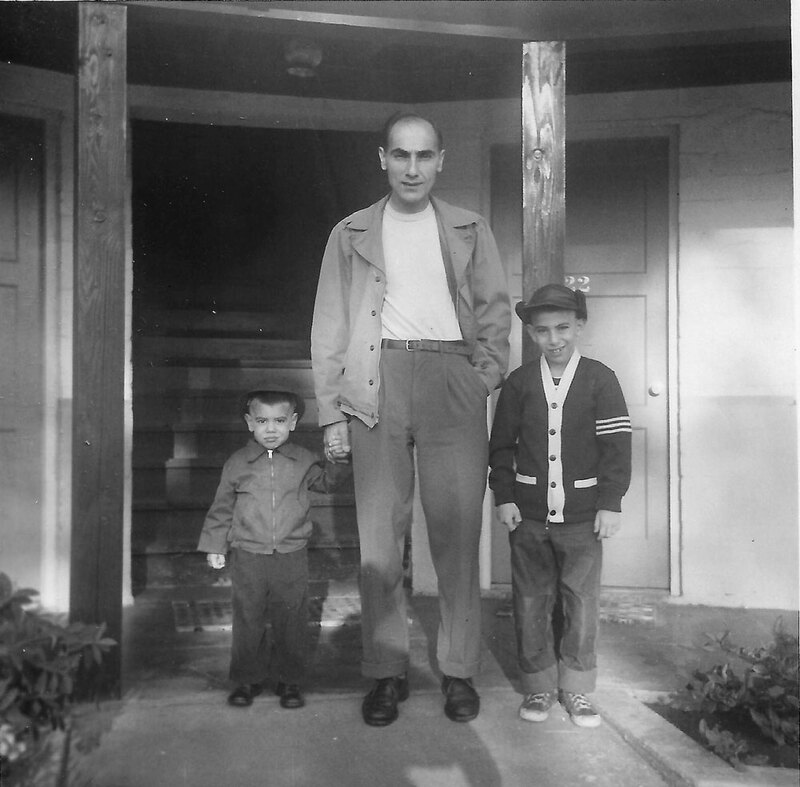 The world was hostile to me—I had problems at work being a psychologist in a psychiatric hospital, ”not fitting in” because I was living in a commune and was not married to a doctor. I did not agree with all the doctors’ psychiatric ideas, so I was loud back. Not all male straight punks were drunken idiots, there were many very nice, polite men like the ones in Rock Against Sexism. MRR: What about your involvement in Rock Against Sexism—what was that like and why did it end? What did those women do afterwards? MRR: The Petticoats single seems to be quasi-In Print and your website uses the present tense when speaking about your bands—what are you up to these days? What are your plans for the future? Is there any chance of a Stef Petticoat-related bands anthology coming out? Stef: Actually, some small record companies have asked me to reissue stuff and I am thinking about it. But I really, really, would like to get the 69 Lies CD out. Since 69 Lies I have not been in a band but have jammed with different people. I occasionally sing in the Berliner Soul Choir (85% heterosexual). Out of frustration (again!) for the 69 Lies CD not happening, I did the MySpace page with my girlfriend. I have been overwhelmed by the response and fans all over the world, especially from the US, and from a lot of young women in bands. Wow!